In the wake of IL&FS crisis, there is a need to review role of rating agencies as they continued to rate the NBFC at top notch investment grade even a day before it defaulted on its payment obligation, a top Finance Ministry official said. IL&FS, a large systemically important non-deposit accepting core investment company, sent markets into tizzy with series of default beginning August last year. Rating agencies failed to see the financial troubles brewing and judge the ballooning debt of IL&FS. Following the series of defaults, the credit rating industry came under scrutiny. While banks were busy with the clean up exercise, NBFCs went on aggressive lending spree, Financial Service Secretary Rajiv Kumar told PTI. "The growth of NBFCs was exponential when banks were cleaning themselves and a kind of a similar situation what happened to the banks in aggressive lending happened to NBFCs. "Some of the NBFCs which have grown more than the normal needs a correction in terms of the asset quality management and at the same time needs to be regulated more intensely than what have been. Also the role of credit rating agencies need to be introspected and looked at as to how entities can remain AAA and suddenly can come 8 notches down in a day. So, these roles have to be seen," he said. 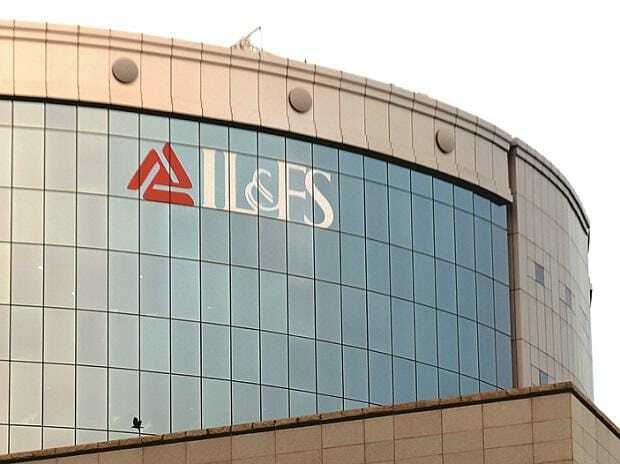 IL&FS, which has been downgraded to junk status by rating agencies, is sitting on a debt pile of around Rs 91,000 crore. Of this, Rs 57,000 crore are bank loans alone, most of which are from state-owned lenders. State-owned LIC is the largest shareholder with a fourth of the firm's equity, while Orix Corporation of Japan owns 23.5 per cent. Other shareholders include Abu Dhabi Investment Authority with 12.5 per cent stake, IL&FS Employees Welfare Trust with 12 per cent, HDFC with 9.02 per cent, Central Bank of India with 7.67 per cent and State Bank of India (SBI) with 6.42 per cent at the March-end 2018. In a bid to align with the best corporate practices, the finance ministry has asked the public sector banks to gradually bring down the government's equity to 52 per cent. "The government is essentially a major shareholder. So, this need to be aligned to the best corporate practices. The shareholding needs to come down to at least 52 per cent in the first phase. As and when market condition allows, banks will take step in that direction. They have all the permission in hand, Kumar said. The country's largest lender State Bank of India (SBI) has already initiated step for Rs 20,000 crore share sale through qualified institutional placement (QIP). Post QIP, the government stake will be diluted from the existing 58.53 per cent.